Want a 20kw power gain? Get a TRS Intercooler upgrade. 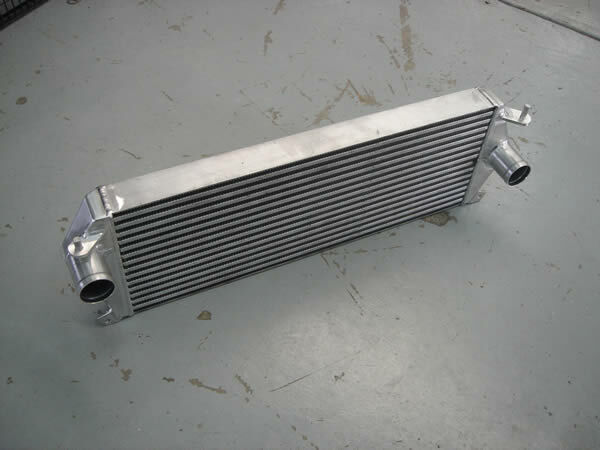 TRS manufactures intercooler upgrades specific to Discovery and Defender. These are a direct replacement for the inefficient, wafer-thin, stock intercooler. Made from internally finned race car intercooler cores, these have over three times the flow rating of the stock intercooler. Once fitted, power climbs by 20kw over the already massive increase made using our TRS ECU upgrade. We can ship worldwide or fit to your vehicle in our workshop in just one day. Available to suit TD5 powered vehicles only.